We know what you might be thinking, but no, you will not explode if you wear this Creeper scarf. Despite how the little green guys act in Minecraft, we extract all the dynamite from them before we turn them into scarves. All this one does is help keep you warm in cold weather and make you look pretty cool. Being a Creeper comes down to two things. Exploding and more exploding! 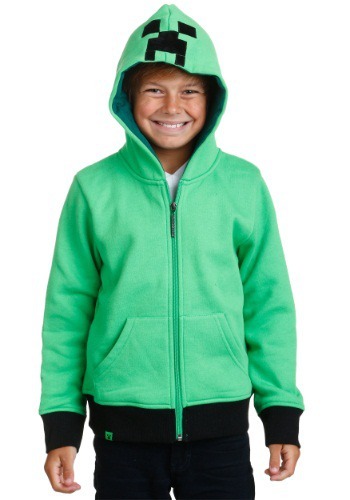 This Kids Minecraft Creeper Anatomy Hoodie not only lets your kid look like the troublesome video game character, but it also shows off what the little green guys are made of: dynamite! The inside of this hoodie has dynamite printed on the inside, so it may just make your little one feel like exploding! 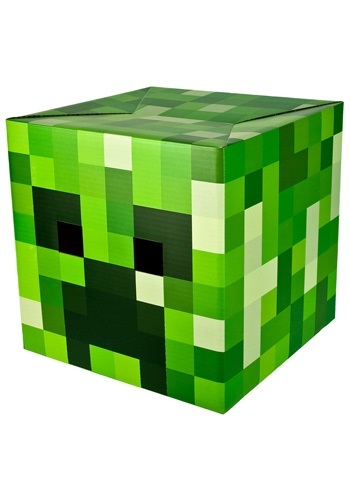 Geek out to this awesome Minecraft Creeper Head. It's a great way to celebrate your love of Minecraft! So, you're minding your own business, mining some diamonds, when a slime attacks you. What do you do? Use your sword, of course! You don't have one? Then you need this Minecraft Diamond Foam Sword! It looks just like the one used in the video game, so those slimes will be no problem for you and you can get back to mining ore.
What will provoke you when you wear this Minecraft Enderman hoodie? Will you emit a loud, bothersome noise? That is for you to decide when you don this sweatshirt and become a real-life mob from Minecraft. Fear the Enderman! The big guy has been ruining the games of minecrafters worldwide, so your best bet is to zip up in this hoodie and show off your love of the epic game. You might even end up with some ender pearls! 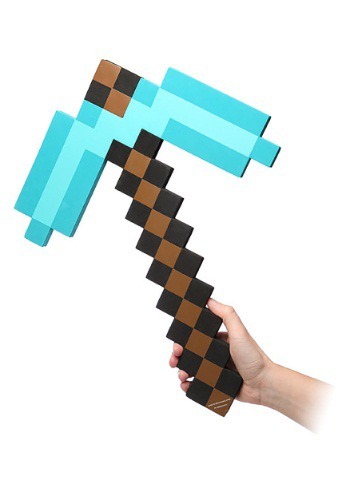 The world of Mineraft is a tough place, especially without this Minecraft Foam Pickaxe. Without it, you can't get ore. Without ore, you can't make weapons. Without weapons, you're at the mercy of the Creepers. When you're at the mercy of Creepers, you end up having your stuff exploded. It's better just to just have this thing on hand to avoid all the extra trouble of Creepers. Ready to enter the squarish world of the Minecraftverse? You're going to want to make sure you don't get stuck in the dark. An easy way to do that would be to craft some torches. Just one block of wood and 8 of coal and you'll be all set! Or you can just use this awesome replica torch. 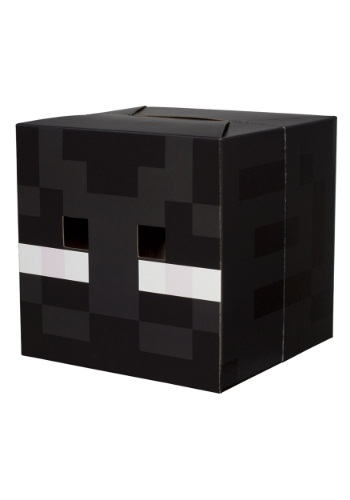 It's officially licensed and is the perfect way to round out your Minecraft costume (and to stay out of the dark!). Is it crazy to dream about being an ocelot, roaming the plains, eating fish and hopping on every bed or chest in the area? That'd be a silly dream to have...right? Well, we have a confession to make. That IS our dream and this Minecraft Ocelot hoodie is finally helping us realize it. It has the pixelated look from the video game, so all we have to do is slip it on, zip it up and we're ready to head out as an ocelot. Now, if you have a dream similar to ours, you could always get one for yourself and see how it feels. When it's not enough to simply mine and build on your computer screen, pick up this Minecraft pickaxe to bring the action to life. The foam construction is sturdy yet lightweight so you can take it everywhere. When people ask who you're supposed to be, be sure to tell them Hello my name is Steve! 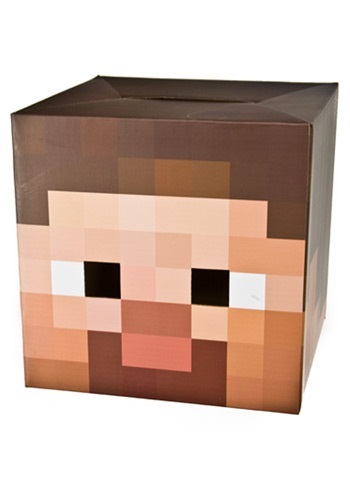 This Minecraft Steve Head is a great way to amaze (or confuse) your friend!